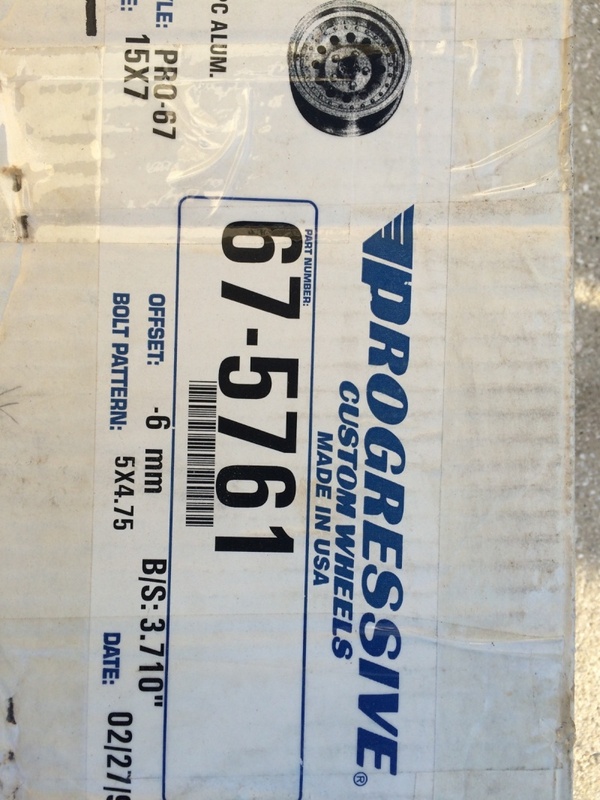 My neighbor has 2 Progressive wheels that are new, still in the box, that he had forgotten about. Progressive wheels are not made anymore. I couldn't even find the part number on google. 67-5761. 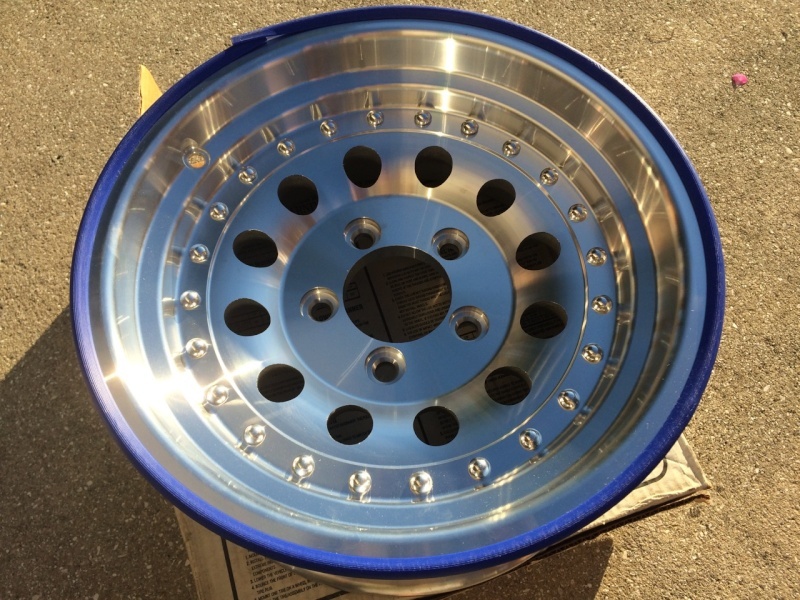 They are 15x7 with a 3.71" Backspace and 5x4.75 bolt pattern. $200 plus shipping or best offer.